The operator of the devastated Fukushima-1 nuclear power plant has made the decision to construct a 120-meter wall in the sea consisting of seven steel sheets and a silt curtain to cut the reactor No. 2 intake from the open sea. ­On Wednesday, the Tokyo Electric Power Company, TEPCO, resorted to liquid glass to stop the leakage of water contaminated with radioactive materials from reactor No. 2. 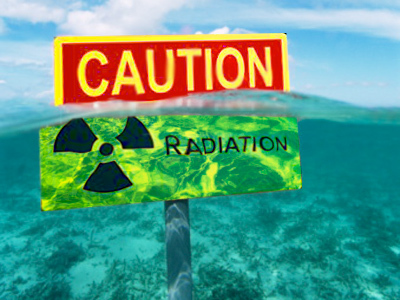 The radioactive iodine-131 reading in the sea near the reactor has dropped significantly to 63,000 times the legal limit, whereas previously it was 7.5 million times higher than allowed. 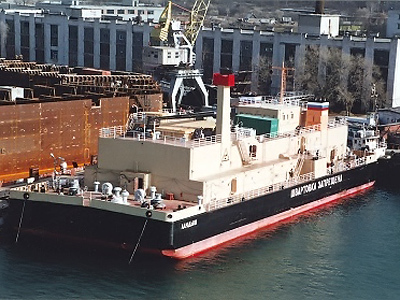 Nevertheless, the discharge of low-radioactive water into the sea continues. By the end of Saturday, the plant will have poured about 9,000 tons of relatively low-radioactive water into the Pacific to free up reservoirs for even more contaminated water that flooded the No. 2 reactor's turbine building and a maintenance tunnel system underneath. In the meantime, TEPCO is constantly pumping inert nitrogen into unit No. 1 to prevent yet another hydrogen explosion. The situation there remains unstable, as the temperature inside the reactor has risen to plus 240 Celsius on Saturday morning, following the new 7.1-magnitude earthquake late on Thursday. Also, if the weather allows on Saturday, an unmanned helicopter drone will take photos of the damaged buildings of reactors No. 1 to 4. The level of radiation there is too high for a man to get closer. 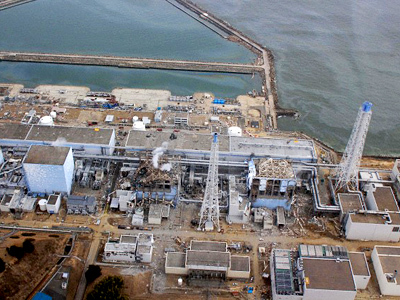 The Thursday earthquake made the Japanese government’s nuclear safety agency call on the country’s power producers to have at least two backup diesel generators on standby for each nuclear reactor instead of one, no matter whether it is stable or undergoing maintenance. 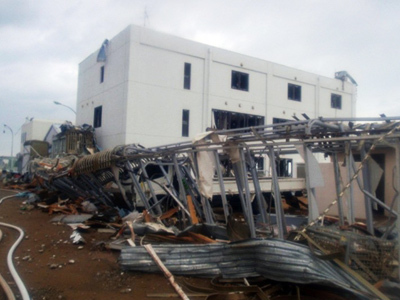 The instruction came after all three back-up diesel generators at the Higashidori nuclear power plant in Aomori Prefecture failed to function after the 7.1-magnitude aftershock. 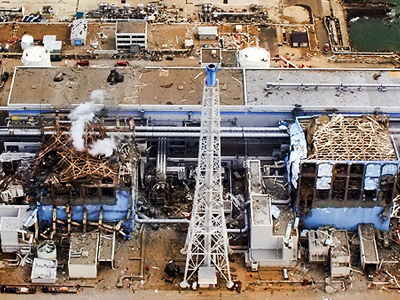 The nuclear catastrophe was brought on after the March 11 devastating 9.0-magnitude earthquake and tsunami that destroyed all power supplies and backup system cooling generators at the Fukushima-1 nuclear power plant. This led to the overheating of the reactors and subsequently – hydrogen explosions and partial melting of the fuel rods inside the reactors.